Autolack Honda B16M Windmere Blue Perleffekt Basislack H2O 1 Ltr. Autolack Honda B20M Amal Blue Metallic Basislack H2O 1 Ltr. Autolack Honda B24 Pyrenees Blue Uni Basislack H2O 1 Ltr. Autolack Honda B25M Lindsey Blue Metallic Basislack H2O 1 Ltr. Autolack Honda B30M Stratos Blue Metallic Basislack H2O 1 Ltr. Autolack Honda B33M Sonic Blue Perleffekt Basislack H2O 1 Ltr. Autolack Honda B35M Montreal Blue Metallic Basislack H2O 1 Ltr. Autolack Honda B37M Florence Blue Metallic Basislack H2O 1 Ltr. 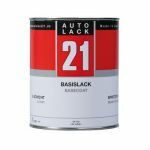 Autolack Honda B43M Harbor Blue Metallic Basislack H2O 1 Ltr. Autolack Honda B45P Madison Blue Pearl Perleffekt Basislack H2O 1 Ltr. Autolack Honda B46M Florence Blue Metallic Basislack H2O 1 Ltr. Autolack Honda B47M Superior Blue Metallic Basislack H2O 1 Ltr. Autolack Honda B48M Atlantic Blue Metallic Basislack H2O 1 Ltr. Autolack Honda B500M Iron Blue Perleffekt Basislack H2O 1 Ltr. Autolack Honda B501P Circuit Blue Perleffekt Basislack H2O 1 Ltr. Autolack Honda B502P Indigo Blue Perleffekt Basislack H2O 1 Ltr. Autolack Honda B505M Aqua Breeze Opal Perleffekt Basislack H2O 1 Ltr. Autolack Honda B506M Ice Blue Perleffekt Basislack H2O 1 Ltr. Autolack Honda B507P Arctic Blue Perleffekt Basislack H2O 1 Ltr. Autolack Honda B508M Zircon Blue Metallic Basislack H2O 1 Ltr. Autolack Honda B509M Effect Blue Perleffekt Basislack H2O 1 Ltr. Autolack Honda B50M Melbourne Blue Perleffekt Basislack H2O 1 Ltr. Autolack Honda B510P Long Beach Blue Uni Decklack 2 Basislack H2O 1 Ltr. Autolack Honda B510P Long Beach Blue Vorlack 1 Basislack H2O 1 Ltr. Autolack Honda B512M Magnetic Blue Perleffekt Basislack H2O 1 Ltr. Autolack Honda B513M Nuerburgring Blue Perleffekt Basislack H2O 1 Ltr. Autolack Honda B515M Aerial Blue Metallic Basislack H2O 1 Ltr. Autolack Honda B517P Sapphire Blue Perleffekt Basislack H2O 1 Ltr. Autolack Honda B518P Midnight Blue Perleffekt Basislack H2O 1 Ltr. Autolack Honda B520P Vivid Blue Perleffekt Basislack H2O 1 Ltr.